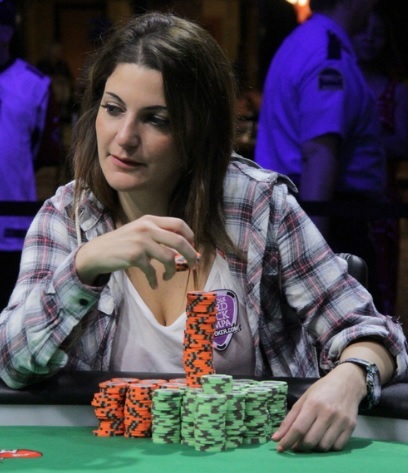 Natasha Mercier is a Tampa-based poker professional who was born in Beirut, Lebanon. Though she came to the country for school, Barbour eventually transitioned into making a living playing cash games and tournaments. She grinds $2-$5 and $5-$10 full-time. “Always grinding,” Barbour said of her life right now and of the past 11 years. Barbour said she has played almost every day for more than a decade. Her efforts have paid off, as the 28-year-old has already accumulated $317,580 in lifetime tournament earnings, with more on the way at Thursday’s final table of a $1,500 event at the 2015 World Series of Poker. 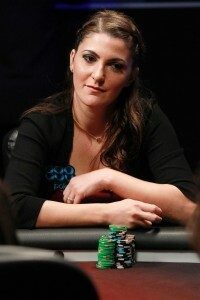 Barbour entered the final day second in chips with just five left, and she had the chip lead three-handed. Barbour was looking to become the first female to win a bracelet at the series this year. Card Player had the chance to speak to the talented grinder at the start of the WSOP about strategy and her poker career that is taking off. 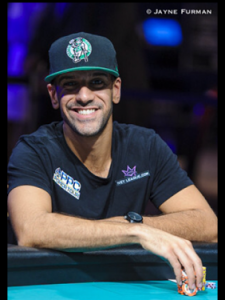 Brian Pempus: Can you talk about how you first found poker and what drew you to the game? Natasha Mercier: I’ve played cards my whole life. I used to play with my grandma all the time when I was really young, and my sisters and I literally spent hours a day gambling on our weekly allowance. The minute I found out I could play other people for real money I started—I was 17 at the time—and fell in love with the game right away. BP: Can you talk about your history playing cash games? What do you like more about cash than tournaments? NB: I’ve recently started playing cash more. I used to only play tournaments, mainly at the Hard Rock in Tampa. I decided to work on my cash game this year. Though I don’t get the same adrenaline rush that I get when I’m playing a tournament, there is nothing like a good cash game. BP: Can you talk about your experience playing on the show Poker Night in America? NB: Both ladies cash games on Poker Night in America were extremely fun. There are so many amazing women who play the game, and I wish more of them would join. I can’t wait to play in the next one. BP: Did you plan on playing a certain way for that game since it was being filmed? NB: Oh, no. I didn’t change my game at all, but I did play more aggressively on the second [episode] because the table was softer. That’s the only adjustment I made. BP: Can you give some advice to beginners on how to judge whether a table is soft and worth staying at or perhaps too solid, to the point where you might possibly need a table change? NB: You can usually tell the first couple rounds how the table is playing. If you’re not 100-percent comfortable with your seat draw or table draw then switch because there’s almost always a softer game. You should look for limpers, high average pot and players to each flop, and obviously the maniacs who try to win every hand, when trying to figure this out. BP: Can you talk about limping in cash games from a strategy perspective? In what kind of games do you think it is actually a decent thing to do? What about over-limping? NB: I don’t mind sometimes limping suited connectors or pocket pairs in early position depending on how passive the table is playing. I think open limping in late position is what is “fishy.” As for over-limping, I’ll do it with hands that I’m not losing value with, like suited connectors, and if I’m not trying to isolate a less-experienced player at the table. BP: Do you think in general it’s better to raise your suited connectors or small pairs in late position after a bunch of limpers rather than limp also? NB: I’ll usually mix it up. I’d say most of the time I over-limp with these types of hands, but I’ll still raise some of the time to balance my range. 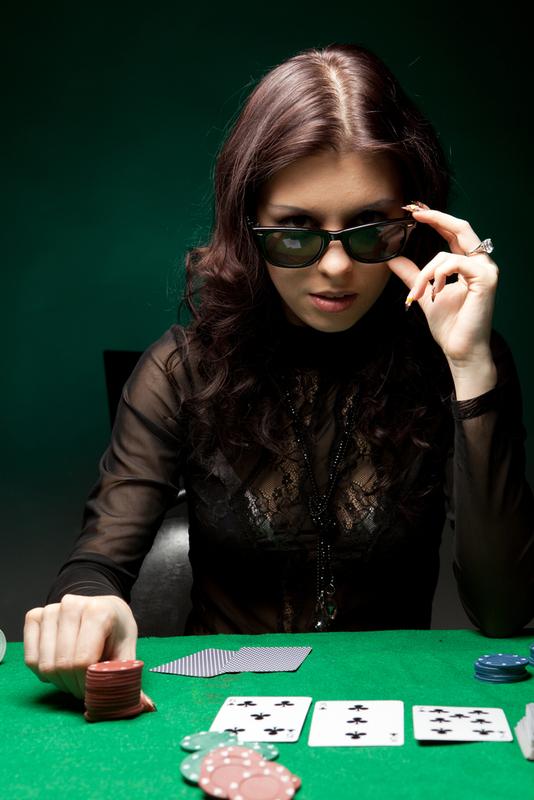 BP: Can you talk about some of the issues women in poker face? NB: Yes. As a woman in poker, I can definitely say we have to do a lot more than the average guy to earn respect in the game. My first big wake-up call on this issue was during the second Poker Night in America where the online chat room was constantly commentating on our appearances and past relationships instead of the actual play. Women in the game are classified as ‘hot or not’ for the most part, instead of good or bad. I’m not sure it will change anytime soon. Poker Night in America has shown their support by doing the shows and Hard Rock Tampa and by making me their ambassador. Like everything else, it’s going to take a little more time and more support. BP: What do you think poker rooms can do to be more welcoming to female players? Also, do you think having a woman make the main event final table would do a lot for bringing more women to the game? NB: I don’t think poker rooms are to blame for this issue nor do I think there’s a lot they can do if they don’t have a sponsored team. I’ve never felt unwelcomed in a poker room, but I have felt unwelcomed at a poker table. Having a woman final tabling the main would be amazing for women in poker. I do think it will bring more women to the game, so I’m rooting for every woman who playing it this year. 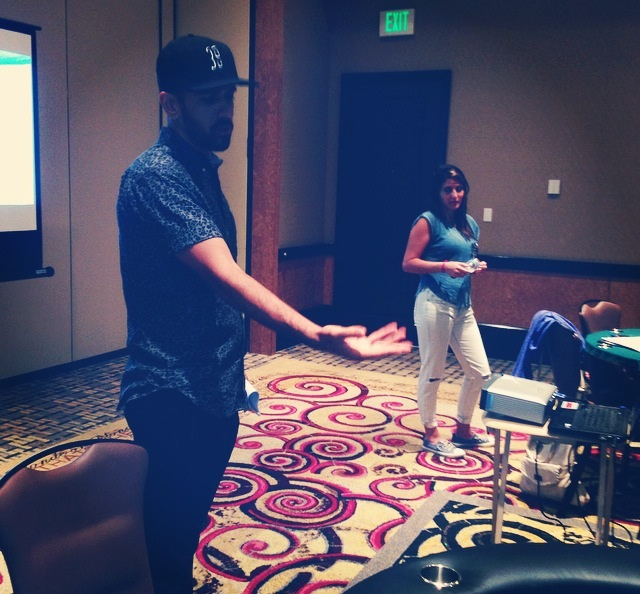 BP: Can you talk about the state of poker in Florida? I’ve heard the cash game scene in parts of that state is pretty good. It also seems like a lot of poker pros call it home. NB: I actually don’t understand why pros live anywhere else in the US. The cash games are phenomenal because we’ve got a good mix of pros, retired people, college kids and vacationers. As for tournaments, there’s literally a great value tournament somewhere in Florida with a small buy-in and huge guarantee almost every day. You can’t find this action anywhere else throughout the year. BP: What are some of the typical leaks you see new players making these days given the huge availability of information on the internet with regards to how to play and get better at poker? Do you think it is fair to say that the beginners today are better than the beginners of the past? NB: Definitely. There are many good training sites, podcasts and videos online that they’re learning in no time. Now that pros are twitching it’s going to get even easier to pick up useful information for free. BP: What were some of the early leaks you had in your game? NB: I had no breaks, and I was known to spew and play fast. I’ve definitely changed that over the years. BP: Can you provide some insight into what had to happen to your mental game to learn how to put on the brakes when necessary? NB: I think playing bigger buy-ins with better players and talking strategy with a lot of them helped my game a lot—and still does. Patience is what I basically learned. BP: What are you ultimate goals for poker? NB: Ultimately, I’d love to be playing at the highest level against better players, but I think I am going to have to bink [a tournament] to get there. BP: How did you land a deal with Hard Rock Tampa? Did you play there quite a bit before becoming their ambassador? NB: Almost every day for 11 years! It’s my second home. For four years I was known as the young girl with the college books studying at the table. I used to study for my finals while grinding. Their manager became a great friend; the dealers and the whole staff my second family. They’ve always made me feel at home and had my back in any situation. It just feels like home when I’m there. BP: What did you study? NB: I was studying biomedical sciences, but I never really went to class. Poker was always full-time for me. I’d show up to school just for exams. I didn’t take a week off from poker in those 11 years. BP: Do you think you will always grind at a high volume? NB: No way. I love kids and want to start a family eventually. Then it’ll become a part-time thing, but until then I’ll be grinding everywhere.